The outdoor patio will be opening for the first time this season! Ike & Martin are jumping in their Hot Tub Time Machine and taking it back to the 1980's and the early days of SnowFest! Dress in your favorite 80's swag for the best dance party on the lake. April 5th - Ike & Martin - Live. Acoustic. Kickass. 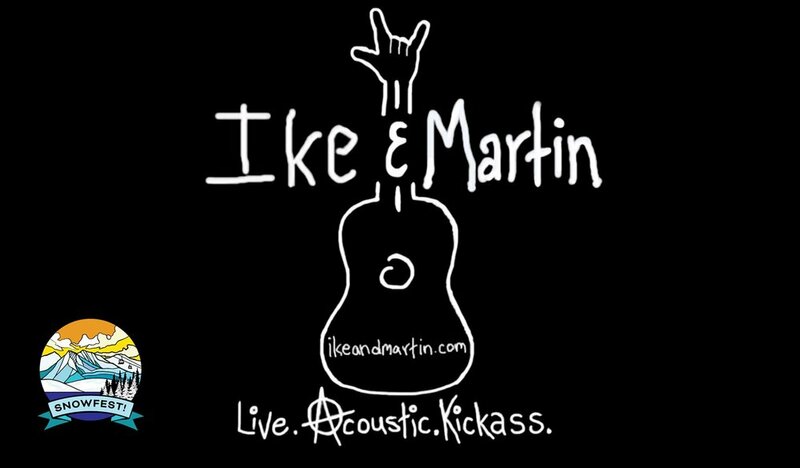 April 19th - Ike & Martin - Live. Acoustic. Kickass. Check out our weekly cheese and chocolate Fondue Friday menu created by Chef Coffman. Locally sourced from Tahoe House Bakery & Gourmet, Tahoe Food Hub and Mountain Valley Meats - Truckee. Celebrate St. Patrick’s Day with lunch at Jake’s on The Lake featuring Irish menu favorites on Sunday March 17th. Sláinte! Our Valentine's Day Chef's Tasting Menu is a new 4-course menu designed to cover all the bases for a memorable romantic evening on Lake Tahoe. After a day on the mountain, we couldn't think of a better way to relax and let loose. Live Music, Fondue and our friendly staff are here to take care of you every Friday this winter at Jake's On The Lake. Ike & Martin are jumping in their Hot Tub Time Machine and taking to back to the 1980's and the early days of SnowFest! Dress in your favorite 80's swag and party like when video killed the radio star! Ike and Martin are a super-charged acoustic rock group playing modern classic pop music Live at Jake’s On The Lake Tahoe. Thanks for giving the gift of Jake's! Please be advised that our gift cards will be mailed to you or the recipient of your choice. We are unable to offer an electronic gift card at this time. We recommend sizing up one size in the much loved favorite. Perfect for cool summer evenings!